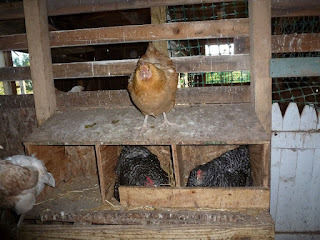 Life at Busy Solitude Farm: Coop Coup! 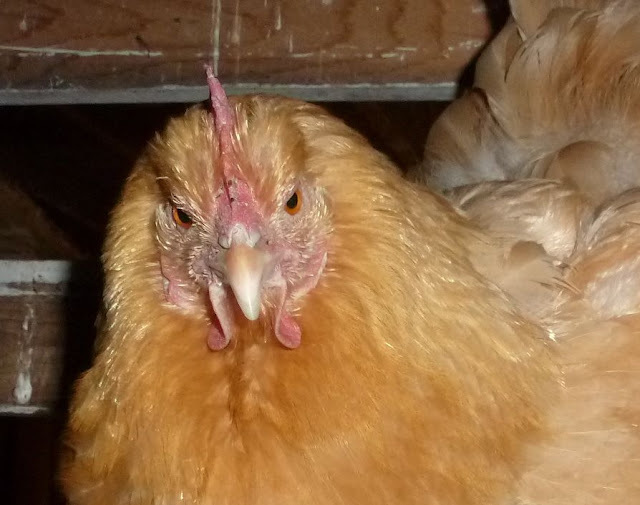 There's a twist to the broody hen story. Just a few days ago, I posted that I had to get the babies used to the big coop, because I was going to need the isolation pen for the yellow hen and her pending chicks. 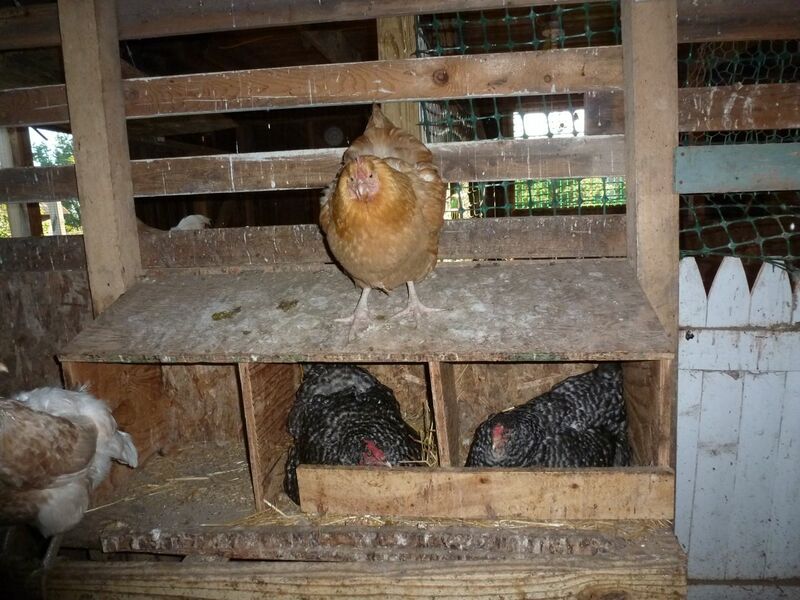 She'd taken up residence over five eggs and was not budging. I expected babies this coming weekend (June 23 or 24). There's been a coup in the coop! Since yesterday, two striped hens have moved in to the nest boxes, pushing the yellow broody hen out. She's mad as an old wet...well, she's upset. She tried pacing in front of the boxes, hoping one of the hens would shift just so, and yellow broody could slip in. No good. She tried stomping on the roof -- maybe that would drive one out! But it wasn't happening. Now I am very curious what will happen when those eggs in the center box hatch? 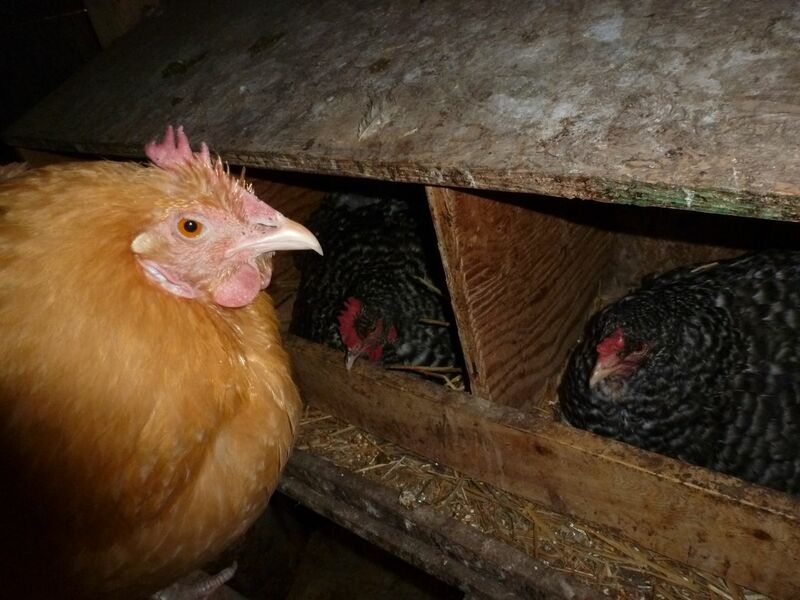 I assume the babies will imprint on the striped hen, leaving the uber-hormonal yellow broody out in the cold. Will she move right back into the box when the little peeps and their striped mom relocate? Any chance she'll cool down and return to normal chicken behavior? I think that's a "no!" Poor thing. That will teach her not to get up for food and water next time. 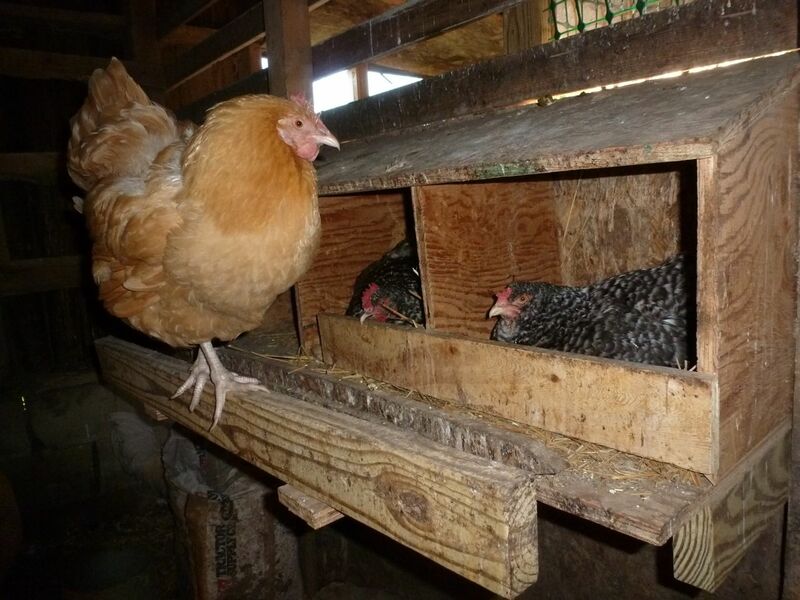 Maybe if she waits patiently the thieving hen will do the same and she can slip back on.